A fish is a vertebrate that lives in the water and has fins, which are structures used for moving. Most fishes are ectotherms, obtain oxygen through gills, and have scales. Nearly half of all vertebrate species are fishes. Fishes get their oxygen from water. The water, which contains oxygen, moves through openings in the fish's throat region that lead to the gills. As water flows over the gills, oxygen moves from the water into the fish's blood, while carbon dioxide, which is a waste product, moves out of the blood and into the water. After flowing over the gills, water leaves the fish by flowing out through slits beneath the gill covers. Fishes have a closed circulatory system. 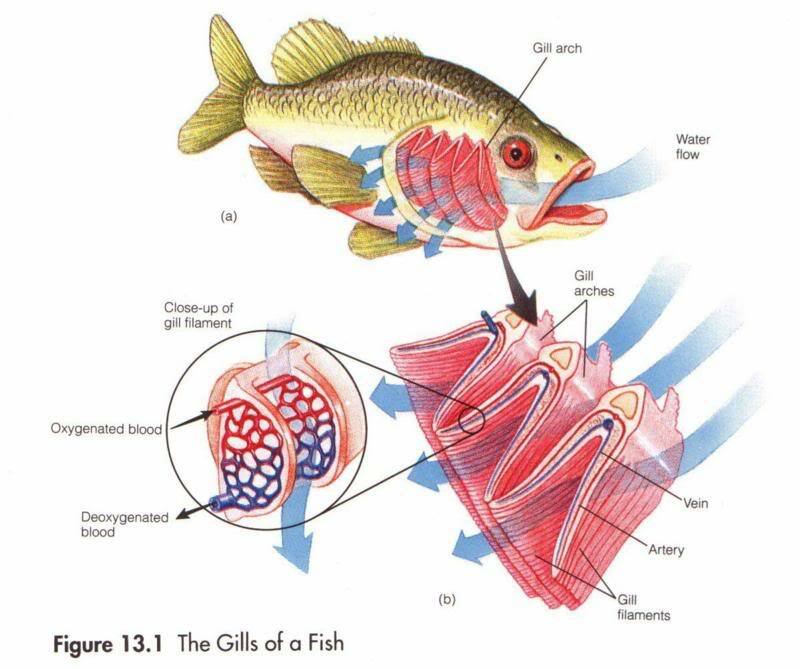 The heart of a fish pumps blood in one continuous loop - from the heart to the gills, from the gills to the rest of the body, and back to the heart. 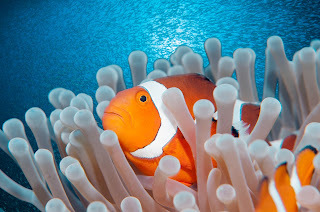 Most fishes have external fertilization. The eggs are fertilized outside of the female's body. The male hovers close to the female and spreads a cloud of sperm over the eggs as she releases them. Internal fertilization, in which the eggs are fertilized inside the female's body. The young fish then develop inside her body. Biologists classify fishes into three major groups: jawless fishes, cartilaginous fishes, and bony fishes. They are distinguished from one another by the structure of their mouths and the types of skeletons they have. Modern jawless fishes have no scales. Their skeletons are made of cartilage, and they do not have pairs of fins. Their mouths do not have jaws. The mouths of jawless fishes have structures for scraping, stabbing, and sucking. 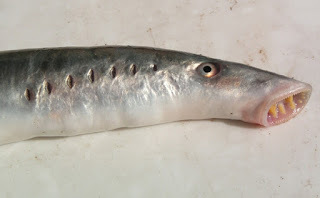 Hagfishes and lampreys are the only kinds of jawless fishes. Many lampreys are parasites of other fishes. Sharks, rays, and skates are cartilaginous fishes. The skeletons of these fishes are made of cartilage. They have jaws and pairs of fins. Pointed, toothlike scales cover their bodies. 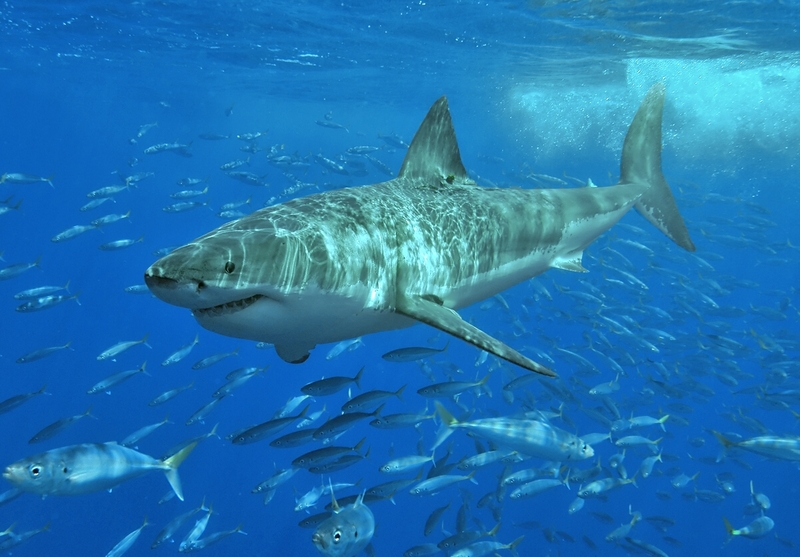 Cartilaginous fishes are all carnivores. Most familiar kinds of fishes have skeletons made of hard bone. Their bodies are covered with scales, and a pocket on each side of the head holds the fish's gills. Most bony fishes have an organ called a swim bladder, an internal gas-filled sac that helps the fish stabilize its body at different depths. A fish has greater buoyancy when the volume of gases in its swim bladder is large than when the gas volume is small. By adjusting its buoyancy as it moves in the water, a fish can float at different depths without using a large amount of energy.